the life of a limb: 2 years already! Yesterday was our two year anniversary. 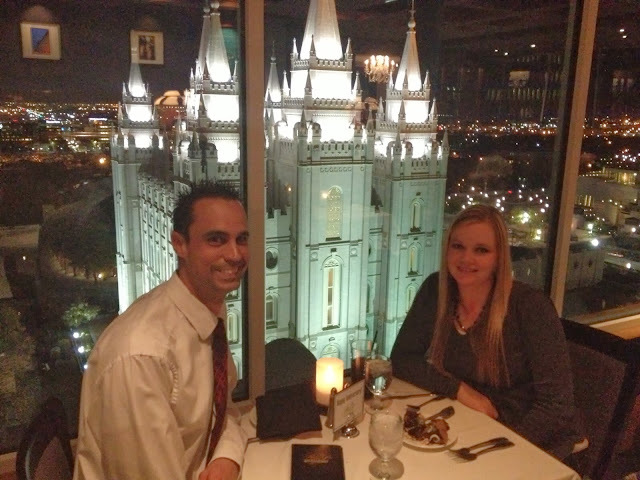 We celebrated by going to dinner at The Roof. We enjoyed the view and each other's company and of course ate too much. It was a fun night. Fun! It seems like yesterday. :) We're coming up on our 15th. Time flies. what a view! two years and many many more to go. awesome. happy belated anniversary!